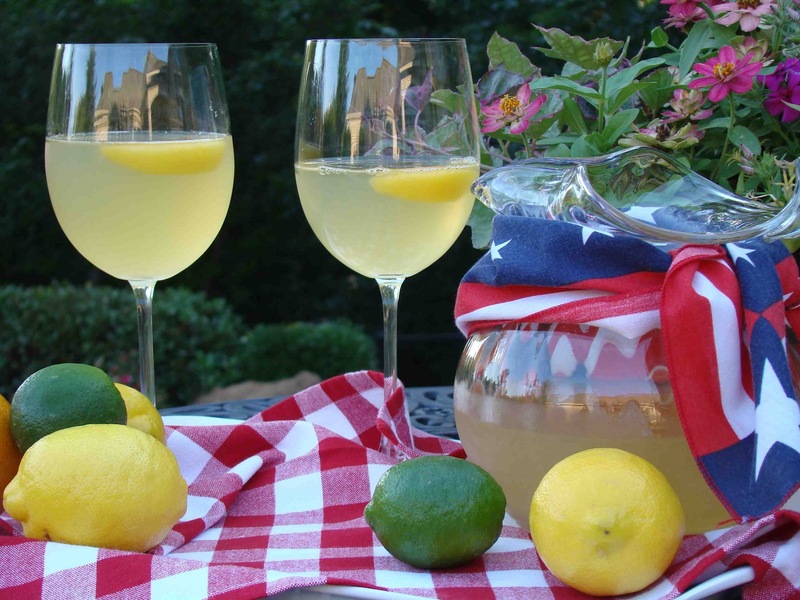 Deborah’s White Sangria and Happy 4th of July! As I have mentioned before, I write a “Resident Recipe” column for our weekly neighborhood magazine. For the July issue, my good friend and neighbor, Deborah submitted a refreshing sangria recipe sure to keep you cool during those hot Texas summer months. When Deborah and her husband, Scott’s niece became engaged last year, they wanted to throw a party to celebrate. Fast-forward and their “little” party turned into a Tex-Mex fiesta for 80 people. 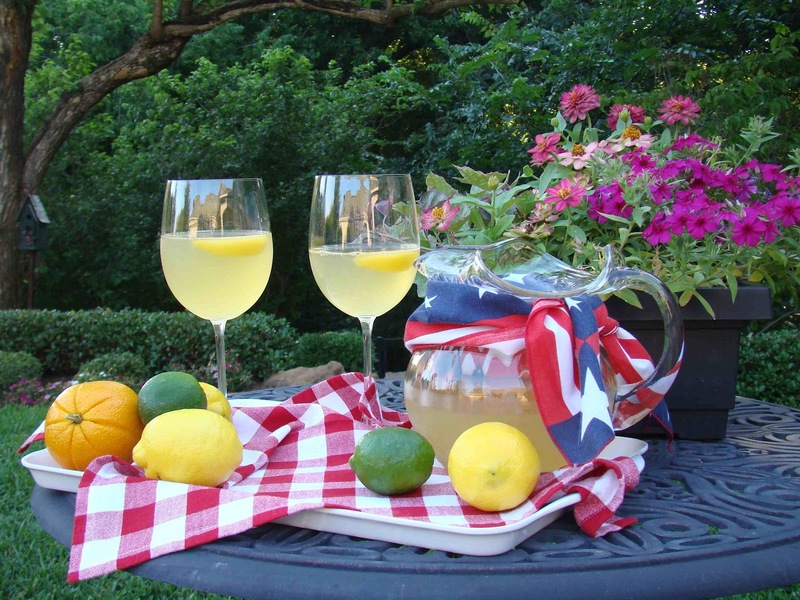 Of course they need something to wash down all the food, so Deborah went in search of a sangria that was white so if it spilled either in the house or on the loggia/pool deck area, it wouldn’t stain as bad! This recipe came from a friend of a friend…you know how that goes. For the night of the party, Deborah made roughly 6 gallons since she also had water, beer, ale, sodas, tea and lemonade. Care to guess what went first? Yep. The sangria. Plus, she must have had a dozen folks ask for the recipe. Guess that qualifies as a hit! 1. Pour the wine in a large container, then add the white grape juice and peach schnapps (NOT the seltzer). Cut the orange, lemon and lime in half then squeeze all the juice into the wine. Once squeezed, drop them into the container. 2. Refrigerate overnight (or as long as possible). Remove from refrigerator and discard the orange, lemon and lime from the beverage. Continue to chill, until ready to serve. When ready to serve, add the seltzer water. 3. Pour in large wine glasses, with a piece of frozen fruit (strawberry, peach, grape, etc.) as garnishment and to help keep chilled.